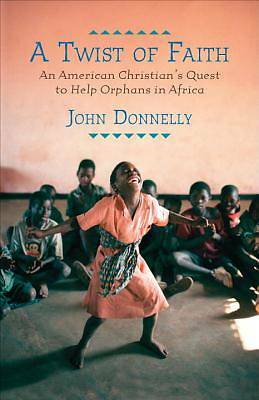 American Christians, veteran reporter John Donnelly has discovered, are an ever-increasing source of aid in Africa, with some experts estimating that U.S. churches supply more resources to Africa than USAID. In A Twist of Faith, he tells the unlikely story of how faith and determination compelled one such American Christian to travel to Africa and open a school for children orphaned by the AIDS epidemic. David Nixon, a carpenter from North Carolina who had lived through his share of trouble, knew nothing about the small, land-locked African country of Malawi. But after having a religious awakening and hearing about a preacher's efforts to aid its impoverished and beleaguered citizens, he raises money from his church and sets off to do what so many well-intentioned Americans of faith do in Africa: build an orphanage. But as his plans are beset with difficulties, Nixon slowly comes to realize that helping others requires listening to and learning from them. And that means changing his preconceived ideas of what the Malawians need and how he can best serve them. A Twist of Faith is the story of one man who, despite personal struggles, a profound cultural gap, the corruption of local officials, and the heartbreak of losing an orphan he comes to love, saves himself by saving others in a place nothing like home. Nixon's story is representative of a growing trend: the thousands of American Christians who are impassioned donors of time, money, and personal energy, devoted to helping African children.